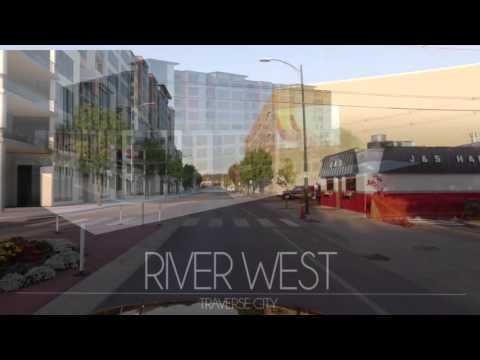 River West was designed to transform a long vacant lot in downtown Traverse City along the Boardman River into two nine-story, mixed use buildings. The buildings provide 167 residential units with 64 units designed for workforce housing as well as ground floor commercial space. The intent of the project was to create a vertical neighborhood, which requires a Special Land Use Permit (SLUP). Mansfield Land Use Consultants has provided design, coordination and presentation on behalf of the client to obtain the SLUP.